The next meeting of the Society takes place on Thursday 11th May 2017 at 7:30 pm in St. Andrew’s Church, Bilston Street, Sedgley. The very short Annual General Meeting is followed by a presentation – The Black Country from the Air. The speaker is Keith Hodgkins this year’s President of the Black Country Society and passionate Black Country heritage campaigner. Keith’s collection of aerial photographs cover the region from the 1920s to the 1980s showing how the landscape has changed over the decades. The evening provides a challenge to identify towns and places of interest from an unusual viewpoint. 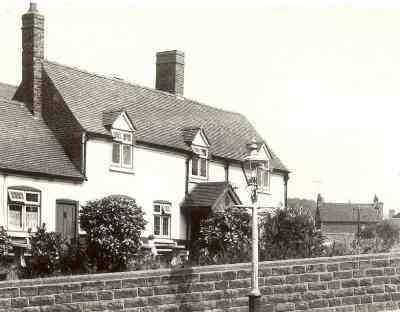 This was a village favourite around 1950 – now demolition is threatened. We asked if you knew the story. The Fiddlers Arms in Lower Gornal could be replaced by housing and a Co-op food outlet in 2018. Although listed by DMBC, the mid-Victorian public house in Straits Road is struggling to stay open. Local opposition to closure has led to petitions and planning objections in an attempt to retain a community asset and protect the village’s heritage.